What are the odds? 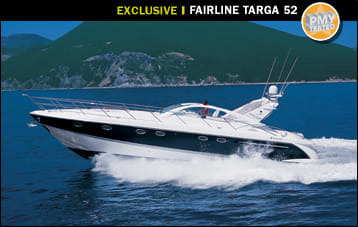 As I walked into the Fairline dealer&apos;s office at Total Marine in Norwalk, Connecticut, customers had just placed a deposit on the Targa 52 that I was there to test. In the midst of the couple&apos;s obvious joy over their new purchase, it hardly seemed an appropriate time to embark on a boat test. For one thing, the dealer wanted to walk through the Targa with her new owners to finalize the list of equipment that would be installed prior to delivery. So the dealer and I agreed to re-schedule the test for later in the week. Imagine my surprise when the owners then asked, "Are you really going to write a story about our boat? Could we please come along for the test?" 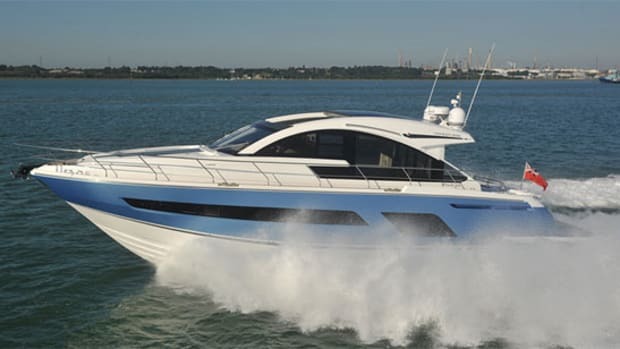 It took less than a New York minute for me to say yes, because while I would form my own opinions about the Targa 52, I also wanted to hear straight from the new owners what features had drawn them to the yacht. I also wanted to learn more about some of the changes they had asked the dealer to make. Two days later I again met the owners, Dwight and Laura, along with their three sons, who had jumped at the chance to skip half a day of school to go for a boat ride. The high-energy trio of lads proved to be a big factor in their parents&apos; decision to purchase the Targa. Prior to buying the 52, Dwight had owned several boats of the go-fast variety: long, slender, boisterous muscle boats. But with three growing boys in the crew, Laura had insisted their next boat be more family-oriented, and though Dwight agreed, he still wasn&apos;t ready to give up spirited performance. He was also adamant that the new boat have plenty of space for "toys" (for the sake of the boys, of course). At the top of that toy list was space for a tender, and not just a garden-variety inflatable. The Targa filled the bill for Dwight, sporting a transom garage that will accommodate a twin-engine, waterjet boat almost 12 feet long. Atop the transom garage is a big sunpad that the grown-ups can enjoy while keeping on eye on the youngsters&apos; antics. Having that big transom garage is great, I said to myself, but let&apos;s see if it cramps the machinery spaces below. Descending via a hatchway on the starboard side, I was pleasantly surprised to see how roomy the engine room actually was. I had close to full standing headroom in the forward end of the engine room, because a platform deck mounted just above the tops of the main longitudinal stringers terminates just aft of the engines. Forward, I was standing between the engine beds, two knee-high longitudinal stringers, and at 6&apos;2" I could stand comfortably upright with my head tipped forward. 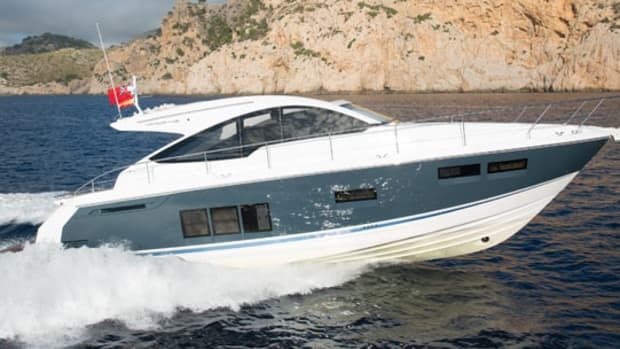 There&apos;s comfortable "hands and knees" access to the auxiliary systems on the port side and to the steering gear at the stern, thanks to the aforementioned platform deck. Small hatches provide easy access to pumps and valves installed in the bilge. Everything is well placed. The Mastervolt transformer and main electric panel are located right alongside the access ladder, and the Onan genset (in a hushbox) is just aft on centerline. Oil and fuel filters on the Volvo D12 diesels are mounted on the starboard side of both engines. On the port engine, this makes them easily accessible from centerline. 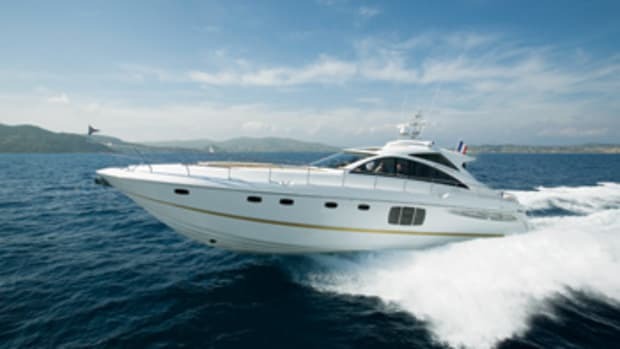 On the starboard engine, Fairline has wisely relocated the engine-mounted filters to a manifold just aft of the engine, making them just as easily accessible and eliminating the need to squirm into the limited space outboard, between the engine and the fuel tank. After emerging from the engine room, I joined Dwight and Laura in the saloon, where they were going over some of the changes the dealer would be making prior to delivery. 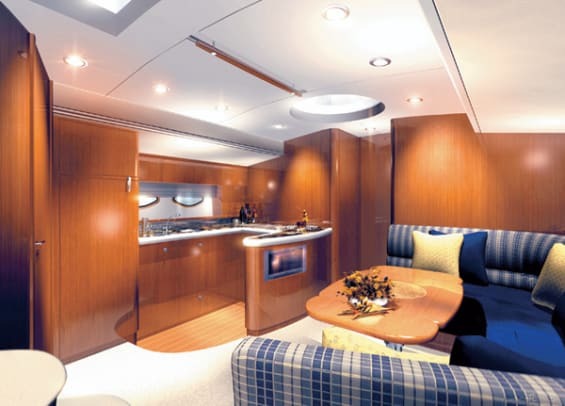 In particular, Laura wanted a full-size refrigerator installed in the galley, in place of Fairline&apos;s standard half-height &apos;fridge with a cabinet above. To keep the boys entertained, Dwight wanted a flat-screen LCD TV in each stateroom and three Sony PS2 video-game systems. 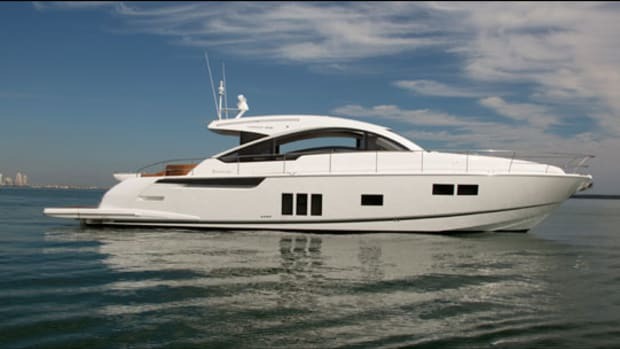 And we all agreed that Fairline&apos;s standard TV location was poorly planned; in the island between the galley and saloon, facing the settee, the screen was too low and too small for comfortable viewing. So the dealer was asked to mount a 20-inch LCD monitor high in the forward bulkhead of the saloon. I openly admired the flawless finish in the cherry joinery and the solid closures on all cabinets and drawers, though I kept to myself the opinion that the strip lighting in the saloon was a tad tacky. It seemed a bit too "Vegas" and not in keeping with the yacht&apos;s otherwise classy interior. 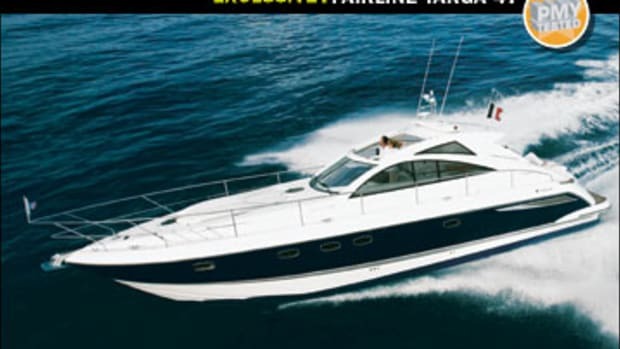 With all the features the Targa 52 offers for family cruising and fun in the sun, I could easily see why Dwight and Laura were drawn to her. But I wondered if Dwight, as the former muscle boat owner, was really going to be happy with her performance. 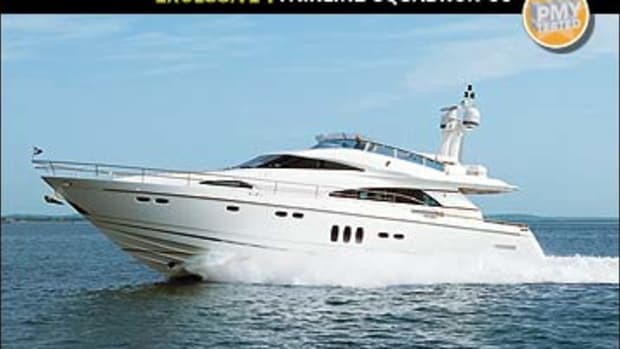 Just a few minutes into our sea trial, though, as I took speed and acceleration readings, his ear-to-ear grin put that question positively to rest. And a little while later, when I took a turn at the wheel, I understood just what he was grinning about. 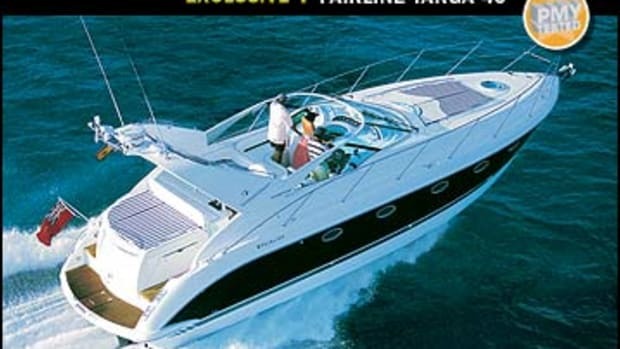 No, the Targa is no muscle boat. 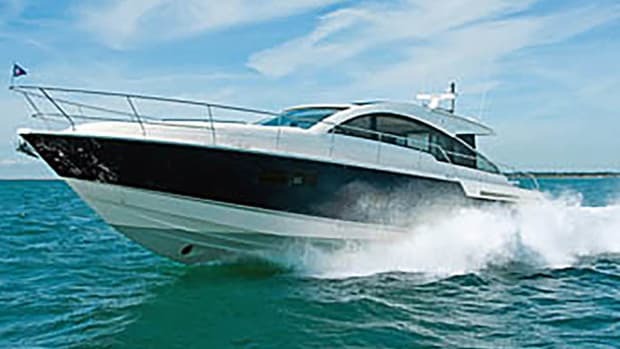 She&apos;s well mannered and refined, a delight to the eyes and, compared to most muscle boats, the ears. On plane she handles as nicely as any boat I&apos;ve ever been on. Steering is literally a one-finger operation, and she banks decisively into a turn. 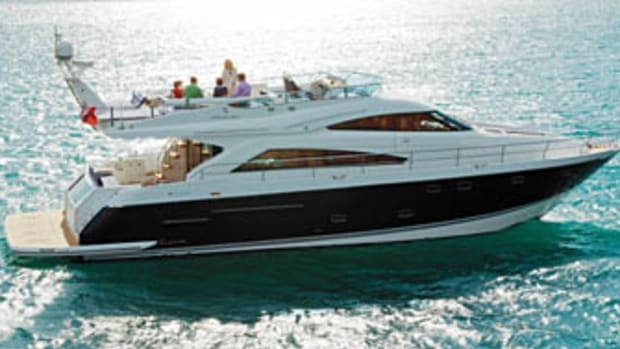 With Laura and the boys below deck, I ran a series of tight figure-eight turns at full throttle, piling up four-foot waves where the wake converged on itself, which after a quick turn we&apos;d blast through at 40 mph and then repeat the process. After several minutes of this, Laura poked her head out the saloon door and asked, "When are you going to start those high-speed turns you cautioned me about?" When I told her we just finished them, she said, "We never felt it." As I glanced over at Dwight, he just kept grinning. Not only could I see what drew them to the Targa, I could actually feel it.